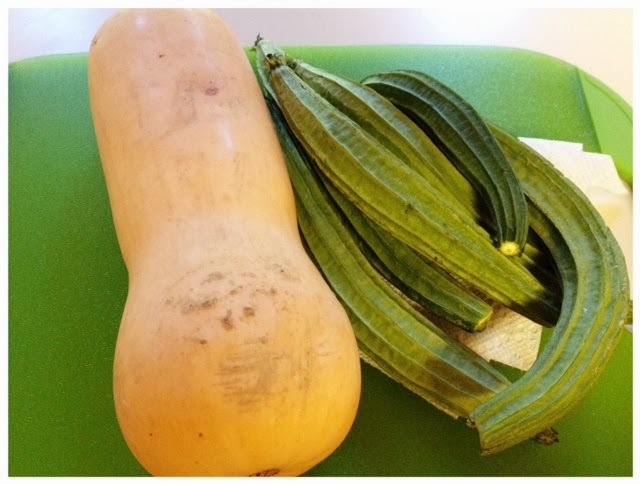 Recently my neighbor gave me a fresh butternut squash from her vegetable garden. I have some fresh ridge gourd from my home garden. Suddenly it reminded me a traditional recipe from my home town Patan, from state of Gujarat, India. 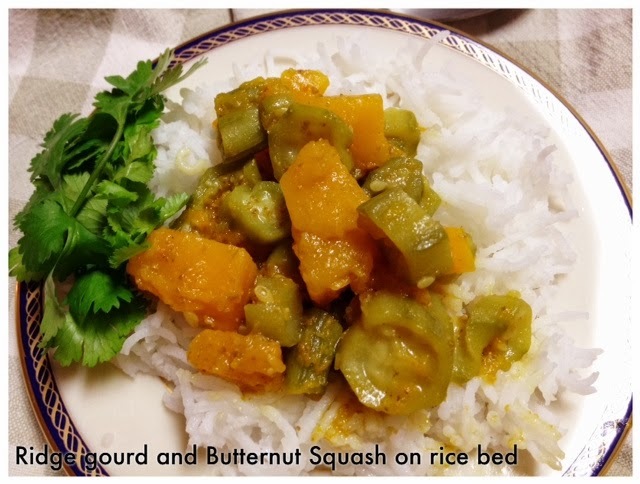 Here, today I have old version of a quick recipe of stir fry Ridge Gourd and Butternut squash in new environment. 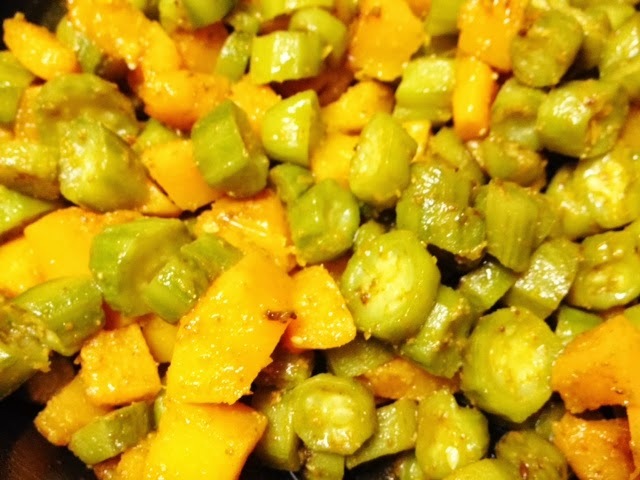 It is healthy quick and best part of it can be substituted for any other vegetables. On a medium heat in a wok add two spoon of oil. Add a pinch of astofedia and add ridge gourd and squash. Stir fry all the vegetables gently. Add salt, chili, tuermeric and coriander/cumin powder. Add lemon juice. 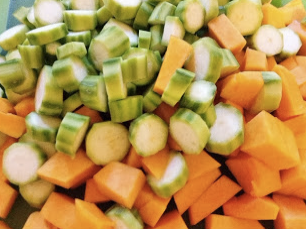 Saute' the vegetables. Cover and let it cook. Stirring them occasionally. It will take 4-5 mintues. Congratulations, you just made a delicious stir fry vegetable dish loaded with vitamins! Have you tried recently any different squash recipes? Let me know in the comments below! Vegetarian Indian Recipes from Jayshree Shah who teaches the Art of Vegetarian Cuisine at Indiana State University and Clabber Girl Cooking School.